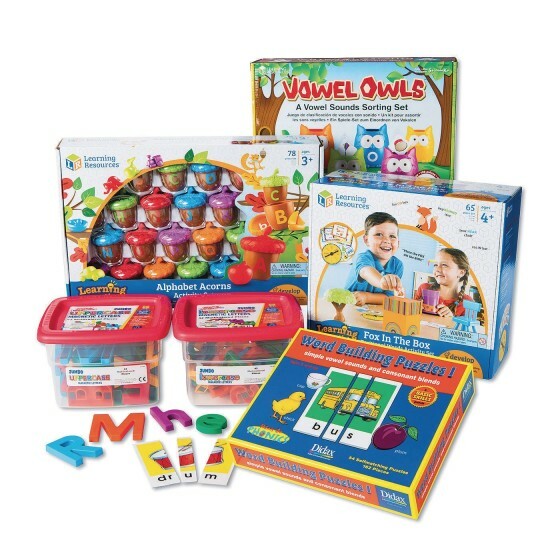 This fun assortment of activities will reinforce learning position words, matching of upper and lower case letters, learning consonant sounds and distinguish long and short vowel sounds. Kit is eligible for Title 1 money. Assortment may vary.